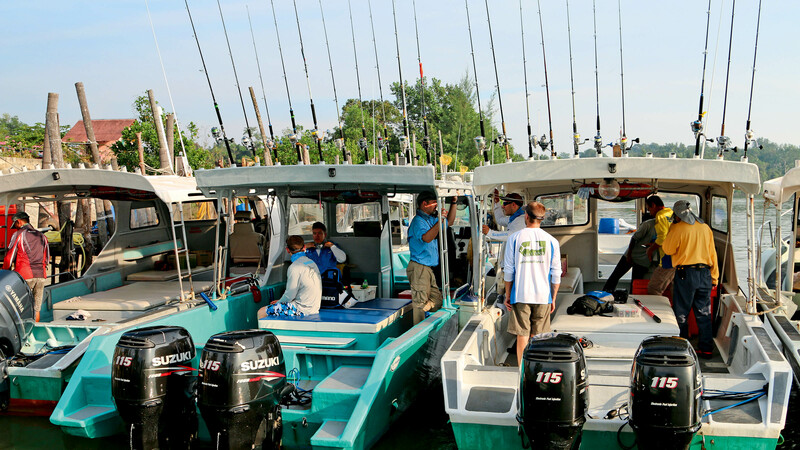 A mix of warm currents, calm waters and an incredible amount of baitfish attracts thousands of sailfish to Kuala Rompin. There are those who claim that a sailfish was a rare sight in the area before the late nineties, when a strong El Niño episode pushed huge schools of sailfish into the area. 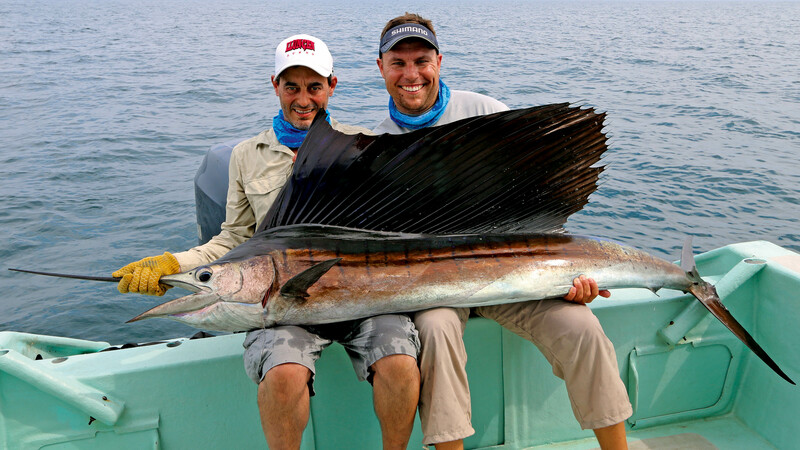 Whether it’s true – and the big fish liked what they saw so much, they decided to stay – or whether nobody had discovered the sailfish fishery, we will never know. Never mind – what we do know, is that Rompin now offers what is quite likely the most reliable fishing for sailfish anywhere in the world. Luckily, the Malaysian government has realized that this unique fishery must be protected. The fishing is strictly catch & release. No doubt this is what makes it possible to catch incredible numbers of fish season after season. We would be the first to claim that fishing is more than a numbers game. Unless numbers says it all. 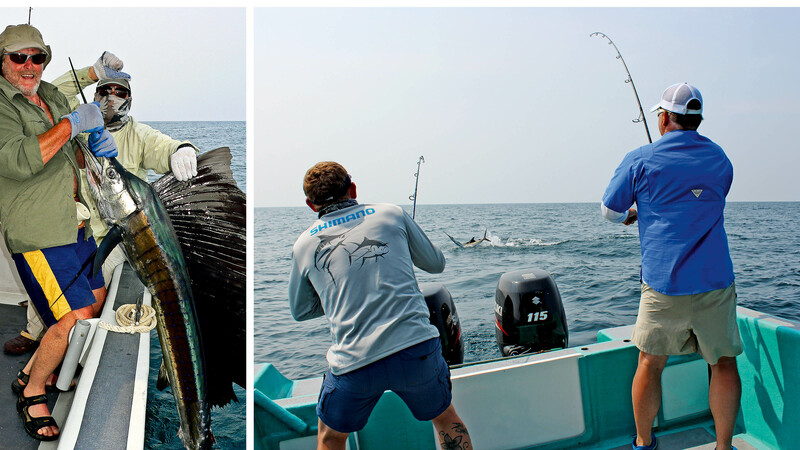 That’s pretty much the case for Rompin, where a week’s fishing for our different groups (three boats) during our first two seasons has produced between 160 and 199 sailfish – landed! So, we have grown quite fond of saying; ”You do the math”. Day 1: Arrival in Kuala Lumpur, transfer to hotel. Day 2: Transfer to Kuala Rompin. Day 3-8: Six full days of fishing. Day 9: Transfer to Kuala Lumpur for the evening flight home. PRICE: From €2950 per person for seven nights. 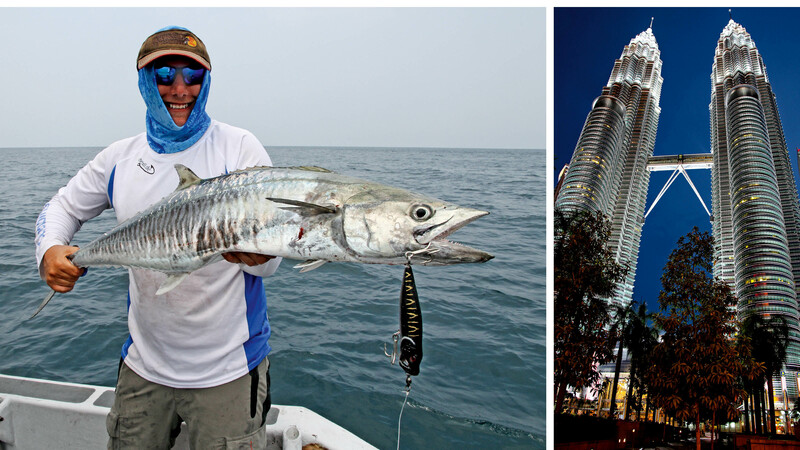 INCLUDED: Six days of fishing (three anglers per boat), seven nights in bungalows (double occupancy), all meals, transfers from Kuala Lumpur to Rompin and return. NOT INCLUDED: International flights to Kuala Lumpur, hotel in Kuala Lumpur, alcoholic beverages, gratuities (approx. €40 per angler). 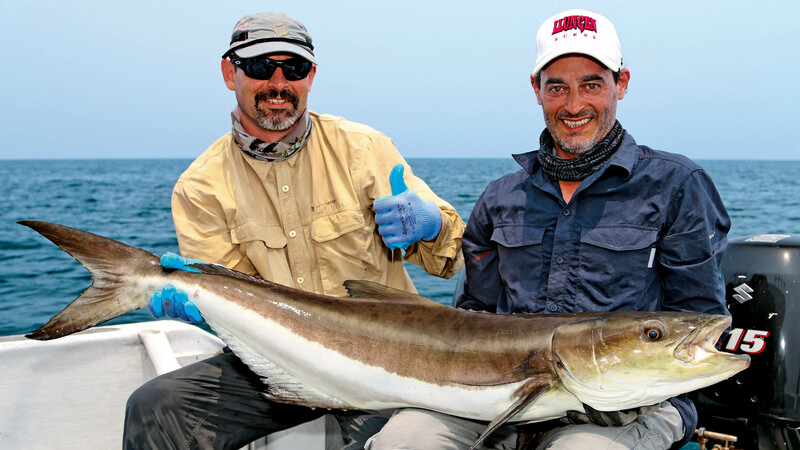 The run to the fishing grounds is usually somewhere between 20 and 60 minutes; then you reach the feeding areas where millions of baitfish congregate – and the sailfish, along with other predatory species, follow the bait. 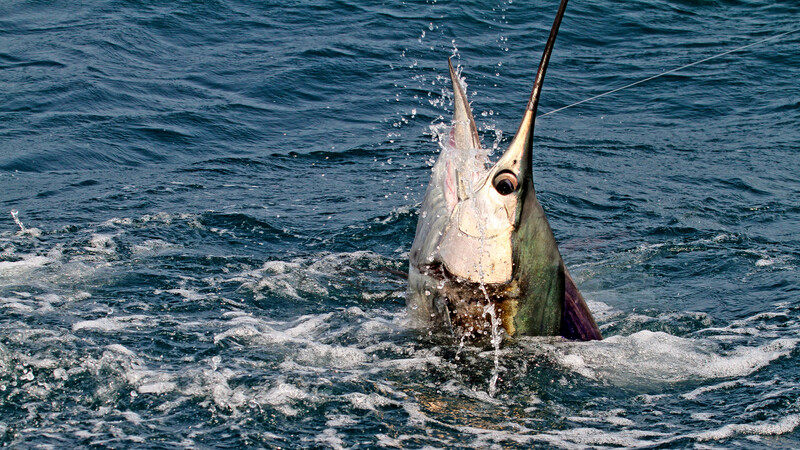 The bait is often so concentrated that the same goes for the sailfish. We don’t need to cover great distances in order to find fish; we are already on them so it’s much more fun free drifting than trolling for hours. When the sailfish aren’t feeding they can often be seen with their fins out of the water, taking a break and basking in the sun. 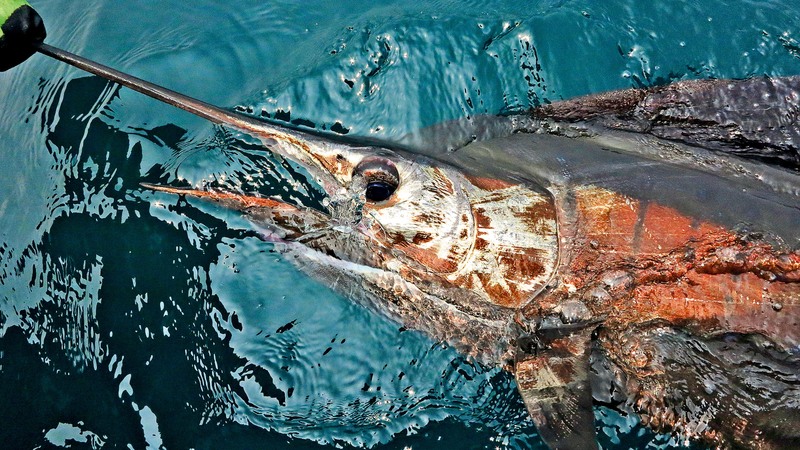 While there are other prolific sailfish fisheries, in Guatemala and Mexico to name a few, we have never heard of anywhere else where so many sailfish can often be found in such concentrations that free drifting can result in five, ten – or even more – landed sailfish per boat per day. The fishing grounds outside Rompin is surely something else. 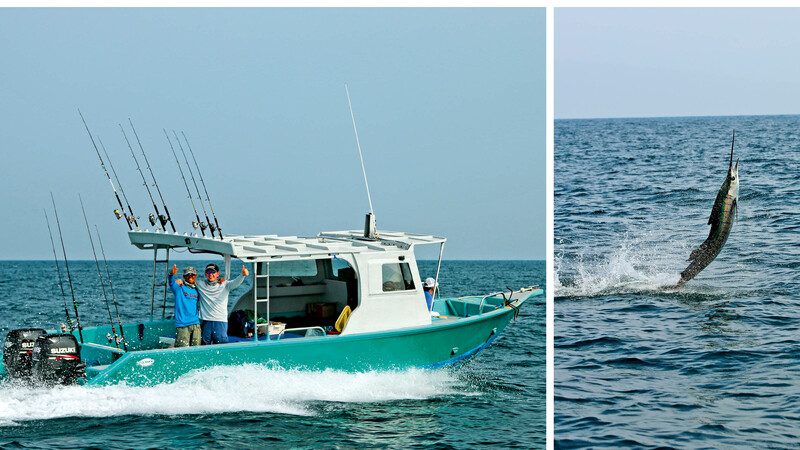 We fish from boats that are long (around 30 feet ), narrow and fast. They might not look super fancy but the do the job very well and has plenty of room for three to four anglers and the boat crew. When live baiting we fish out of the back of the boat but for casting there is room in the front as well. 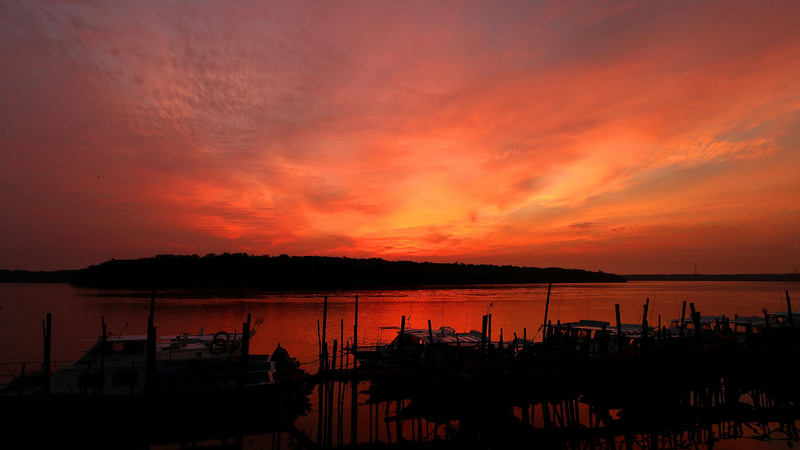 Usually, the boats are mounted with twin outboards, the obviously have live bait tanks and the needed electronics. When not on the water we stay riverside in double rooms in bungalows, simple but clean and with private bathrooms and air condition. 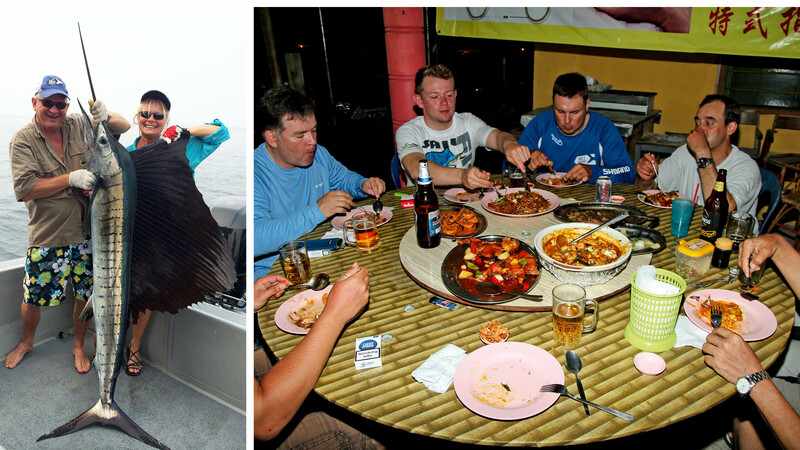 It’s a very short walk to the boats in the morning and we dine at a local restaurant nearby. The climate in Kuala Rompin is tropical with an average temperature of around 27° C but can be as high as 35° C. Even the driest month of August has some rainfall. There are two monsoon seasons in Malaysia; the Southwest and the Northeast. The Southwest monsoon (from May to September) doesn’t affect Rompin much as it is sheltered by mountains but can cause some wind and occasional heavy rains. The Northeast monsoon start in November and marks the end of the fishing season, that runs from April and to the end of October. August, September and October is the peak season and it is during these months that we do group trips to Kuala Rompin. One of the advantages of not having to troll for the sailfish is that you can fish lighter gear, adding a lot to the fun. While a sailfish might well be the fastest fish that swims the ocean – and the one that jumps the most times when hooked – it doesn’t have the stamina of the bigger marlin. Therefore, it is a perfect match for a lighter popping or boat rod, matched with a bigger fixed spool reel (like the Shimano Stella 10000 or 14000 for casting) or a multiplier reel for live baiting. It is also a good idea to bring a lighter casting rod with a fixed spool reel (6000 size) for Spanish mackerel, queenfish and trevallies. When casting for sailfish from the drifting boat poppers and stick baits in the range from 80 to 100 grams (15-20 cm) works well. 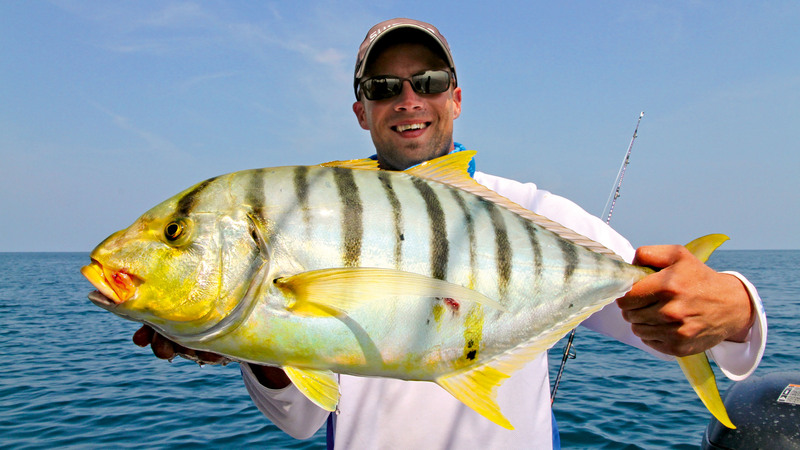 Our captains haven’t found any colors or type of lures are much superior so just bring a varied selection. Light tackle for catching live bait are already on the boats and can be borrowed free of charge. The flight from Europe to Kuala Lumpur in Malaysia is a long haul so even if the flight should arrive early enough for a transfer to Kuala Rompin on the same day we don’t recommend it. Instead, check into a nice hotel in Kuala Lumpur and get a good night’s sleep. 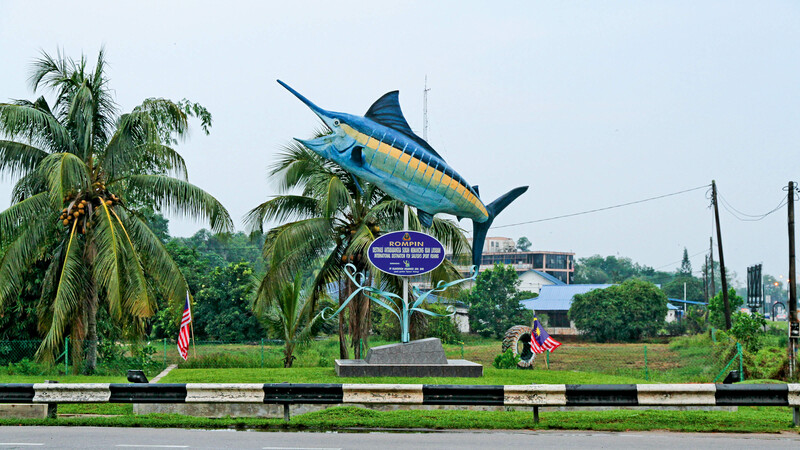 The drive to Rompin is around six hours, depending on the traffic, and is much more enjoyable when you are well rested.